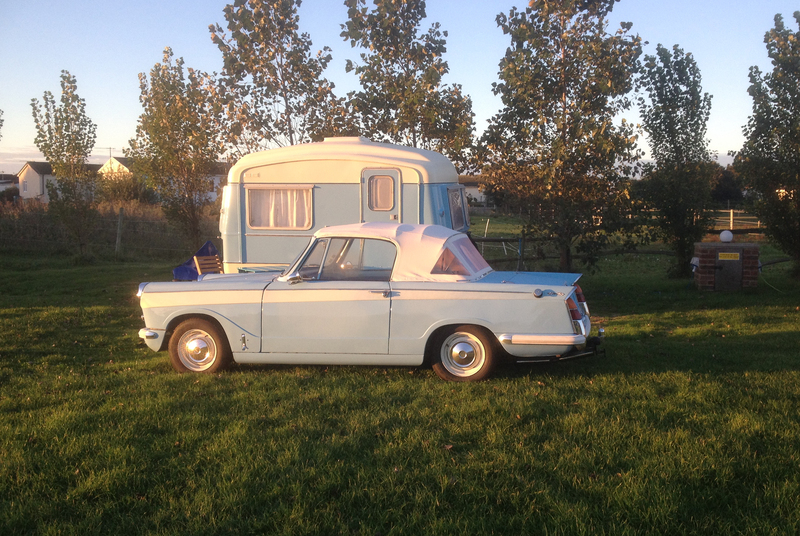 The Totally Triumph weekend at Hemsby had been long anticipated by both of us as we had set it as the deadline for having the caravan make-over completed. Setting off we felt slightly conspicuous with our matching pair, but soon began to enjoy the hoots, smiles and thumbs-up from other road users! We arrived at Longbeach mid-afternoon to a warm welcome from Mike, and within a few minutes had the kettle on and chairs out. It was interesting watching Julie and Micky constructing their beautiful, all original 1980 Rapido on the next pitch. We had decide to seek out a local fish and chip shop for our meal, before joining the ‘Meet and Greet’ at Hermanus. Having located a nearby chippy, Christina decided she could put it off no more, took a deep breath and drove the Herald for the first time. Despite there being no mishaps with this, we still decided we would walk to Hermanus as we had been told there was a footpath that went directly there. Unfortunately we didn’t find this footpath (and doubt its existence to be honest Mike 😉 ) but managed to arrive safely after a dodgy walk along the main road. We spent a pleasant evening in the company of other TSSC members before bracing ourselves for the walk back. Saturday morning dawned with the promise of sunshine after the autumnal chill had gone. After a traditional breakfast of bacon and eggs we collected the paperwork for the run, put the top down and set off for what proved to be a lovely day out, driving a well planned route around the broads. We stopped off at several places, and chose Ranworth Broad for our picnic lunch stop. After a relaxing drive, we returned to the caravan for a chilled afternoon, before scrubbing ourselves up for the evening. The dinner was first class, we enjoyed getting to know Jenny and Nigel, and hearing about the 7 year restoration of their GT6. 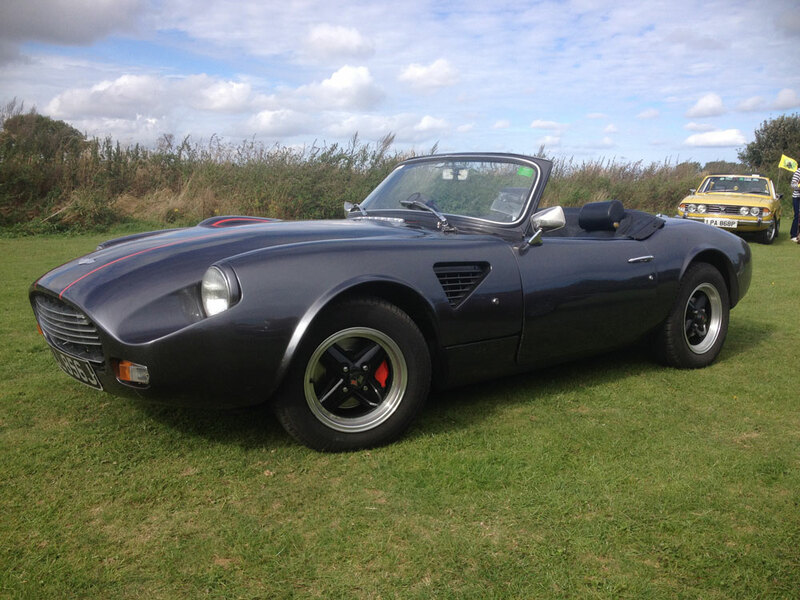 Nigel and Paul were able to swap experiences of restoring and modifying their classics. The evening ended with dancing, with TSSC members taking the floor by storm. Shot of the field, think the caravan stuck out a bit. 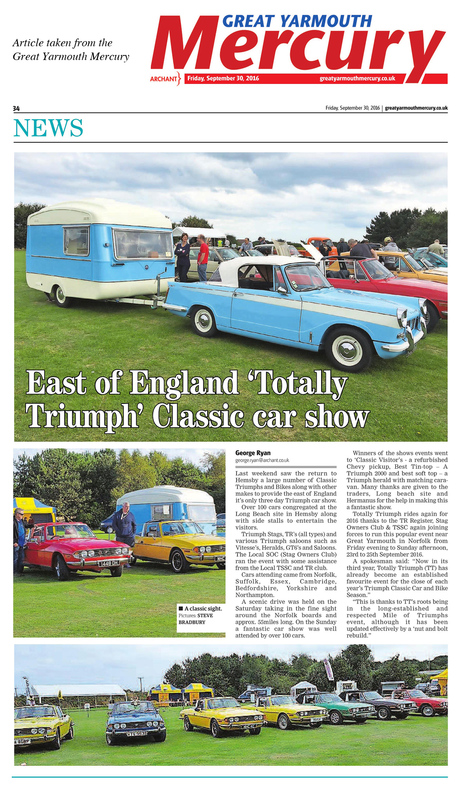 Sunday was the day of the show, and with prior agreement we took the caravan into the show with us. 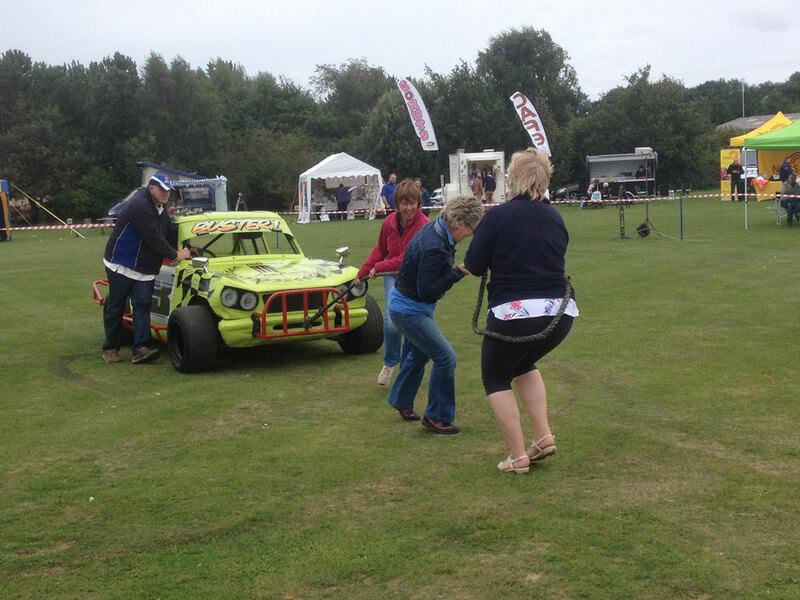 She proved to be quite a hit and attracted lots of interest! Paul’s towing skills were put to the test when he was asked to do a lap of the ring with other Triumphs. The threatened rain held off and a pleasant afternoon was spent watching various entertainment (including the now infamous ‘Tug a Triumph’) and sharing stories with other Triumph owners. 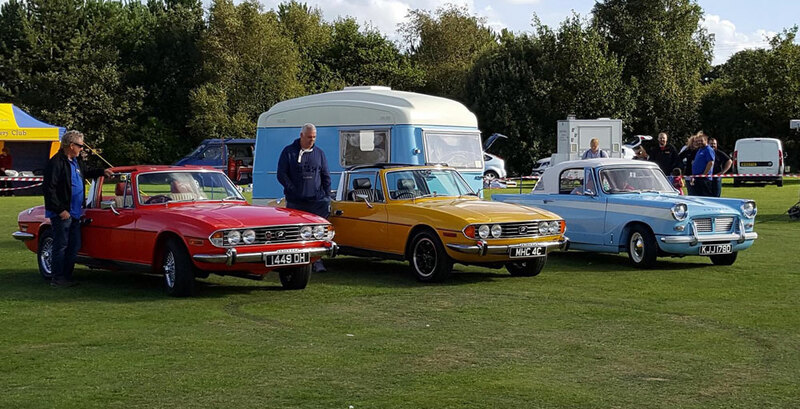 When prize-giving time arrived we were really pleased to see Nigel’s GT6 in the line-up of tintop winners, and thrilled that our own little combo won the best ragtop. 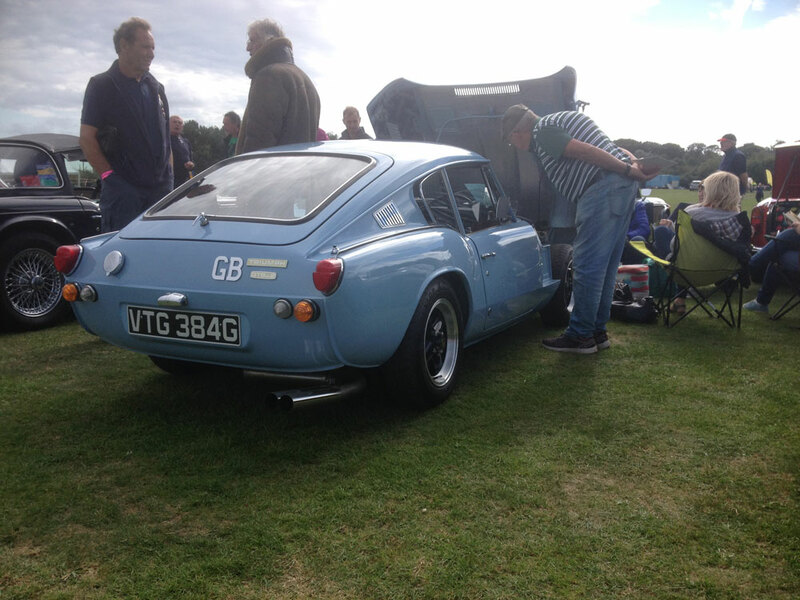 Nigel and Jenny’s recently rebuilt GT6. 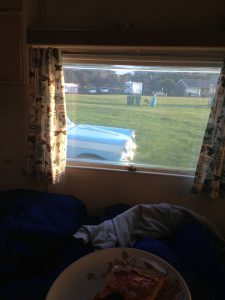 Having ‘won’ an awning on eBay, a trip to collect it from Hailsham was the perfect excuse for what will probably be our last caravan trip this year. We decided to make a long weekend of it, catching up on friends and revisiting old haunts. This was to be out first venture out of East Anglia, and a chance to find out how the old girl copes with towing up and down hills. 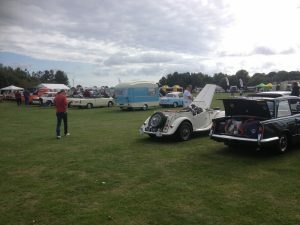 We gave ourselves plenty of travel time, setting off mid morning on Thursday for the drive down to Barn Caravan Park in Lancing. 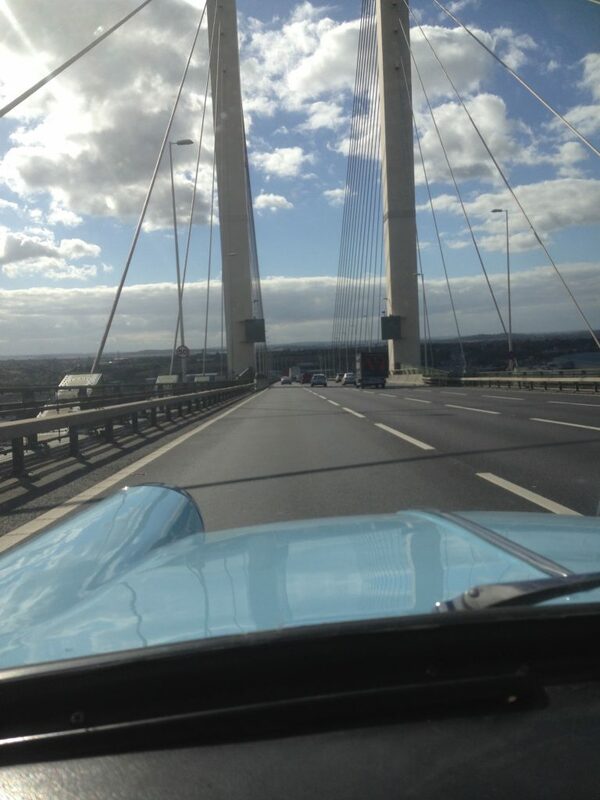 The journey went well, although crossing the Dartford Bridge was a bit scary, with lorries overtaking on both sides. We got a bit worried when a van overtook us, pipping it’s hooter, but they were just wanting to give us the thumbs up, not warn us that something had dropped off! 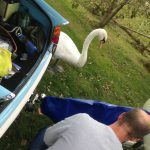 We arrived at the site at about 3.30, pitched up under the watchful eye of a local swan, and had a cuppa before setting off to collect the awning. 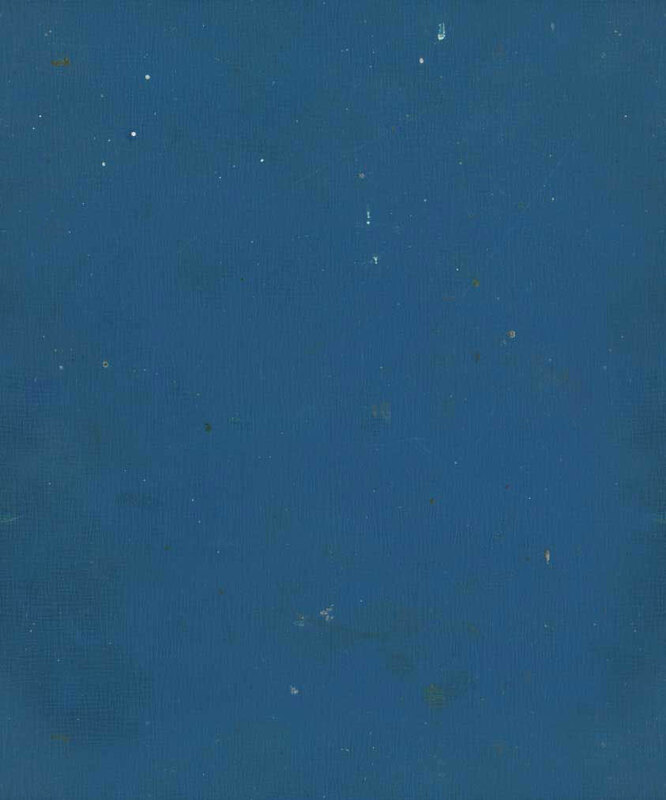 Unfortunately we hadn’t realised it was going to be a two hour round trip, so by the time we got back to the caravan it was cold and dark and we were not in the best spirits. Thankfully we had brought some ready-made chilli with us so dinner didn’t take long to prepare, the heater soon warmed up the van and after a stroll down to the seafront we settled down for a cosy night in. The next morning we decided to get the coastal bus into Brighton to give the Herald a day off after all the miles covered the day before. We spent several hours wandering round the vintage shops in the North Laines, with Paul bagging himself a bargain jacket for the next time we have to dress to suit the era of the car. After the obligatory stroll and ice-cream on the pier, we returned to the caravan for dinner and an early night. Saturday dawned bright and almost sunny so after a bacon and egg breakfast we drove to Devil’s Dyke for a walk. It was a busy place with lots of walkers and cyclists, and a lovely view across the South Downs. We spent a lovely evening with Karen and Dave in Hove, catching up and retelling stories of the days when Christina and Karen taught together, then back for our final night in the van. An early start on Sunday morning saw us climbing the long, drawn-out Handcross Hill, which was done in a slow but steady manner with no complaints from the old girl. 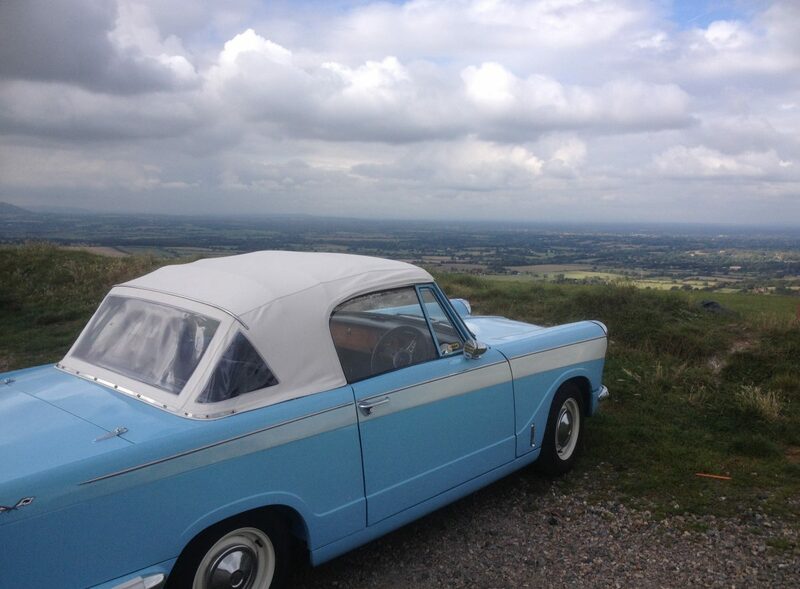 So, now we have coped with the M25, the Dartford Crossing and hills, where shall we go next?….